Uninet IColor 700 - Recognition Systems, INC. The power to do MORE in LESS TIME. 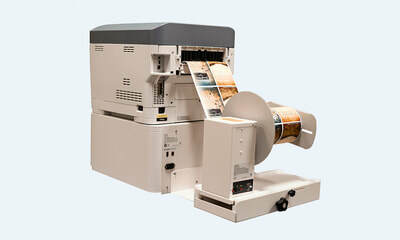 A unique digital press solution for short run label production. 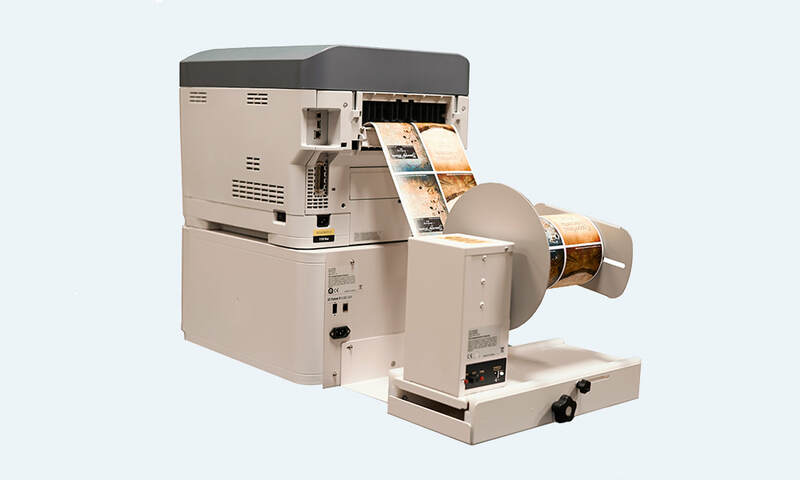 ​The iColor® 700 is a Desktop Digital Label Press solution, printing at speeds of up to 9.14 meters/minute (30 feet/min) on a variety of die-cut, kiss-cut or continuous roll substrates. This innovative label press is easy to operate, so you can say goodbye to outsourcing and storing large quantities of labels that end up becoming unusable if any changes need to made. Designed for in-house production, users are capable of printing 2,000 full color labels in less than 20 minutes, with a finished roll ready for immediate application. Use files from any graphics program. Just convert your file to a CMYK PDF and you’re ready to print! Ideal for short to mid-range runs. 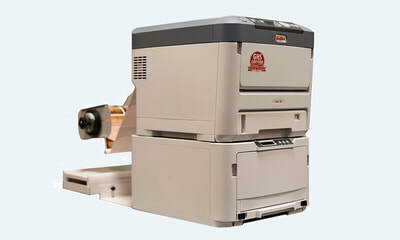 Print on a variety of media like PET, Wood Veneer, Foils, Tag stock, Matte, Semi Gloss, High Gloss, etc. 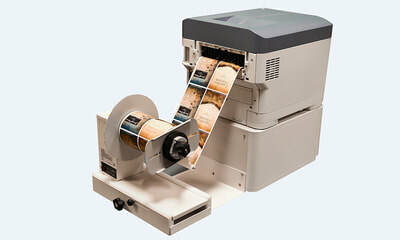 Ideal for industries such as: chemical, specialty foods, beer and wine, coffee and tea, cosmetics, private labels and more!